Conscious Comedy is on a mission to support local non-profits like Sister’s of the Road, Oregon Wild, and Planned Parenthood through socially relevant comedy benefit shows. 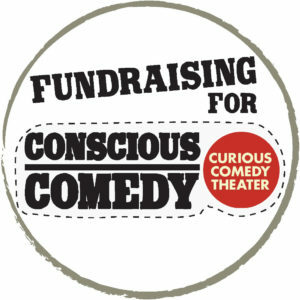 In January 2018 we raised $266.67 for Conscious Comedy. 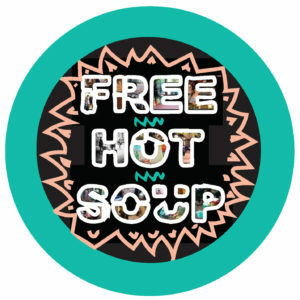 Free Hot Soup is made up of neighbors helping neighbors who are living on the streets. They are 100% volunteer driven (with no paid staff) and doing their best to try to save lives during the harsh winter months by providing much needed food and supplies. In March 2018 we raised $411.47 for Free Hot Soup. Sabin CDC develops and manages affordable housing in Inner NE Portland. Sabin strives to stabilize and improve the livability of culturally diverse Portland neighborhoods by assuring the availability of long-term affordable housing for low and moderate income residents. In Many 2018 we raised $412.79 for Sabin CDC’s Micro Loan Fund. Sisters of the Road exists to build authentic relationships and alleviate the hunger of isolation in an atmosphere of nonviolence and gentle personalism that nurtures the whole individual, while seeking systemic solutions that reach the roots of homelessness and poverty to end them forever. Interested in being a Community Partner? Check out our Change for Change and Donations pages!